It’s not quite as exciting as our first post of the day, but nobody has really made mention of this little headline. The game has been a huge success on the PC, but nobody has announced that it’s coming to the 360. 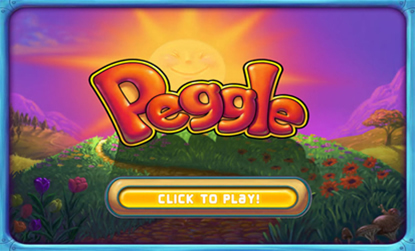 Rated “E for Everyone” and confirmed by the ESRB, popular time waster “Peggle” will be making its way to the Xbox Live Arcade later this year. Rated by multple people’s favorites list (last link not work safe – ZeroPunctuation), there is no reason for Popcap to assume it will sell hugely on the Xbox Live Arcade. The game is widely available, even through iTunes now, apparently. So go ahead and check out their official site, and see just what you might be spending your Microsoft points on in the near future. EXCLUSIVE: Moorcock's Storm Bringer saga coming to 360! The Club demo coming to XBLM, soon!